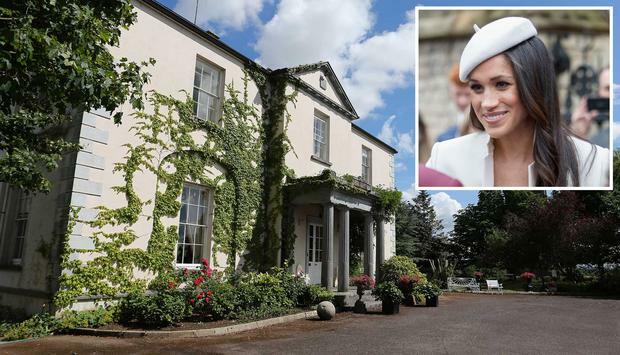 If there was one thing we could have expected from Meghan Markle in all the furore of royal wedding planning, it's that she would choose a chic, elegant, exclusive place to throw a low-key but high style hen party. Which is why when we heard she and her close pals chose to keep her bridal shower very hush in the ultra plush, private members' club the Soho Farmhouse for her ultra relaxing hen weekend, we were not hugely surprised. It is believed Meghan and her 'bride's tribe' planned their secret getaway at the 100-acre estate deep in the Oxfordshire countryside last Sunday, where they were awarded the ultimate in privacy at the four-bedroom Farm Cottage, reserved just for Meghan and her mates. According to OK! it was Meghan's close pal Markus Anderson - a consultant at the Soho House Group - who organised the lavish lunch for the girls in the exclusive cottage which sits away from the main club house. Markus was in attendance on the day, as was Meghan's LA based pilates-instructor friend Heather Dorak, and close pal New York TV producer Lindsay Jill Roth (for whom Meghan served as maid of honour in 2016). The bride's squad reportedly didn't avail of the acclaimed spa on the premises, preferring instead to concentrate on a good old-fashioned catch up. As well as a five star spa, Soho Farmhouse boasts several fine dining options and an on-site food truck. It has two swimming pools, a nearby lake and a private cinema. Meghan and friend Millie Mackintosh, who was reportedly not in attendance, stayed at the farmhouse in 2016 and were pictured riding bikes together. Dunowen House as a luxury coastal escape on the Wild Atlantic Way. The property dates back to the 1770s and as the home of Jimi Hendrix’s base guitarist Noel Redding for 30 years, it has oodles of rock and roll character that sets it apart from other historical country estates. Since it was taken over by Kela and Stephen Hodgins in 2013, it has been extensively and tastefully refurbished, with each of its nine large bedroom having it’s own full ensuite bathroom. Dunowen House offers a Luxury Hen Party package for up to 23 guests which includes: Exclusive use of Dunowen House and the adjoining Orchard Cottage. Two night self-catering stay and a privately catered three course dinner on one night served up in their formal dining room. Also included to make your stay all the more plush are towels, linens, slippers, toiletries, a welcome pack of essentials, homemade goodies on arrival and logs for the stoves and fires (which are set each day). Kela and Stephen can arrange a wide variety of activities for guests, both at the house or in nearby venues. Popular among hens are the Clonakilty Chocolate Truffle making class with Prosecco, flower crown and embellished knicker classes (! ), surfing, paddle-boarding and sea-kayaking lessons / trips, or yoga sessions at the house. Prices are from €150 per person. Visit dunowenhouse.ie for more. 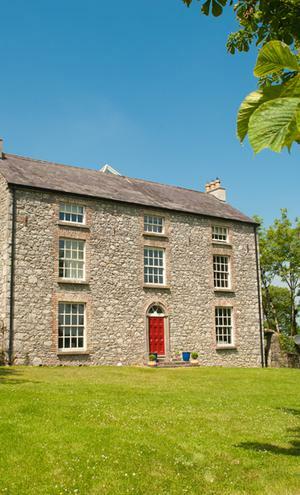 The Old Deanery, just one hour from Dublin, Wicklow, Carlow, Wexford, New Ross and Waterford is a unique 18th century setting, boasting complete privacy for parties in their quaint, traditional Irish cottages. While perhaps not as plush as Meghan's five star soho spa farmhouse, the Old Deanery is a popular choice for hens looking for something different for their bridal shower, in a warm and welcoming setting. For group bookings the Old Deanery offers a completely private venue accommodating max 27 guests with The Barn serving as the function room and their special package includes a two hour Prosecco reception in the rustic wine cellar. Guests can stay at the six onsite cottages (which were lovingly converted from their stone stables) which offer open plan living / kitchen area, fully equipped with cooker, fridge, microwave, dishwasher etc., TV, oil fired central heating and open log fires. The Old Deanery is available exclusively on a two night stay basis for up to 25 guests at €2,400 which includes full use of the venue and cottages as well as the Prosecco reception. Visit theolddeanery.com for more. 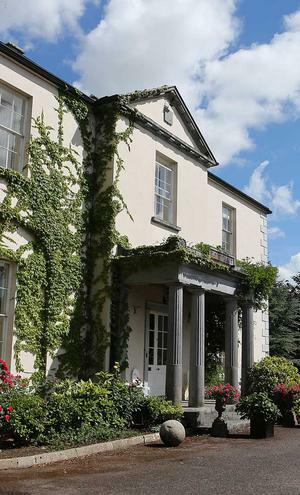 Bishopstown House is a three-storey Georgian house with a unique history incorporating Grand National Winners, American President Ronald Reagan and King of Pop Mr Michael Jackson. The manor sits on 5,000 sq foot surroundings and combines an old world setting with eco-friendly features. 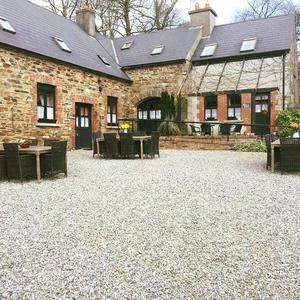 Available for exclusive hire, Bishopstown offers private use of the full house and courtyard, with eight guest bedrooms sleeping up to 18 people sharing complete with two cosy living rooms and a beautiful country kitchen. Hen parties should enjoy the use of their own private bar with karaoke and function room. The large towns of Mullingar and Athlone are both a 25 minute drive away. Staff are happy to point groups in the direction of country pursuits, while the house itself can be used for anything from massage to dance classes to make-up sessions. Rates for weekend are €2,250+ for up to 18 guests. Up to 30 guests can be catered for at an extra €100 per head. Visit bishopstownhouse.ie for more. 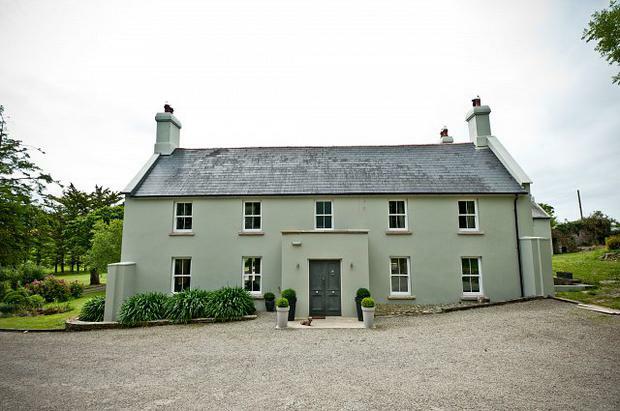 Blanchville House in Kilkenny can cater for up to 24 people in their beautiful 'Downton style' setting. The pretty period style main house is full of warmth and character and boasts beautiful reception rooms that groups can consider their own for the duration of their stay. The main house sleeps 12, while a further 12 can be catered for in the nearby couch houses and and gardener's cottage. Indoor activities are as varied as they come with past parties choosing afternoon tea, murder mysteries, cocktail classes and life drawing to spend the day doing something different. The property is 10 minutes drive from Kilkenny city. Rates on request. Visit blanchville.ie for more. 'A little unorthodox' - Who will walk Meghan Markle up the aisle?